Is 2018 the Year of the Over-50 Job Search? The employment market has changed drastically over the past couple years, and organizations that used to have their pick of great candidates are now struggling to fill open positions. In this tight employment climate, many employers are turning to more experienced candidates, which has significantly improved the job market for senior citizens and older adults. With companies hiring seniors at a higher rate, conducting a job search over 50 has become much easier. 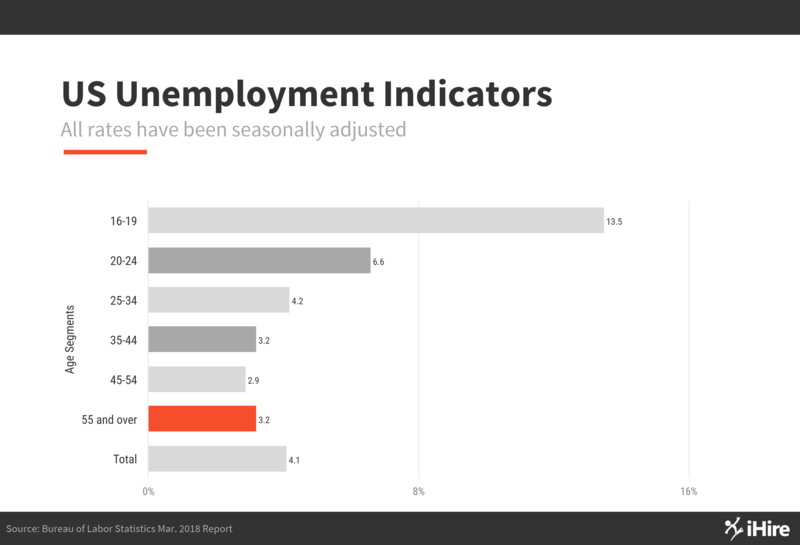 According to the Bureau of Labor Statistics, job seekers aged 55 and up have an unemployment rate of 3.2% - much lower than the overall jobless rate of 4.1% and the lowest it’s been for this segment of the population since 2008. Although prospects for professionals in the midst of an over-50 job search are brightening, part of the reason more companies are hiring seniors is because a growing number of older Americans are working well into their retirement years. This development can be viewed in multiple ways. On the one hand, aging baby boomers continue to be a vital part of the economy and feel good enough to work later in life and contribute their vast expertise for the benefit of their employers. On the other hand, the unfortunate truth is that many baby boomers are simply not prepared financially for retirement. Add in longer lifespans and uncertainty regarding healthcare and Social Security and what you have is a large group who will be postponing their retirements for a number of years. Before the heyday of private pensions and the gilded age of the “golden years” when everyone left work as soon as they turned 65 and moved to Florida, it was common to keep working as long as you were able. In 1948, approximately 43% of the population aged 55 and up was still working. That number fell to less than 30% in 1991 but has risen to nearly 40% over the past decade. It’s important to remember that retirement is still a very modern concept. The job market for senior citizens is growing and the over-50 job search has gotten easier, but in many ways the labor force is just returning to normal. Are you in the midst of a job search and over 50? Find the right opportunity for you on any of iHire’s 56 industry-specific communities!